By Angie Drobnic Holan on Wednesday, June 16th, 2010 at 5:30 p.m. 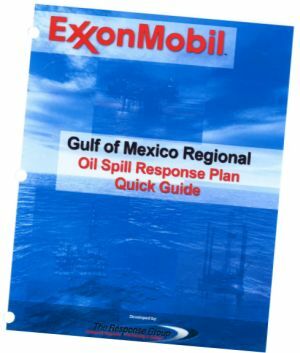 The Exxon plan: 40 pages for media response, only nine for removing the oil. We were skeptical that an oil company would put out a clean-up plan that spends more time on handling the media than it does on actual clean-up. But after reviewing the reports, we weren't so skeptical. "While Exxon Mobil has 40 pages on its media response strategy, its plan for resource protection is only five pages long and its plan for oil removal is just nine pages long," Congressman Bart Stupak said. We reviewed the plan's and rated Stupak's statement Mostly True; read our complete report. We also rated another statement from the hearing. Rep. Edward Markey said that "right now, every single one of the companies here today and dozens of others are drilling for free in the Gulf of Mexico on leases that will cost American taxpayers more than $50 billion in lost royalties." We found that while Markey has a point about foregone royalties, the companies are still paying tens of millions of dollars a year for drilling in the Gulf. We rated his statement Half True. "While Exxon Mobil has 40 pages on its media response strategy, its plan for resource protection is only five pages long and its plan for oil removal is just nine pages long." — Bart Stupak, Tuesday, June 15th, 2010.